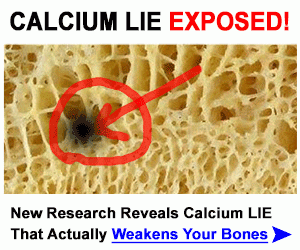 What Do Low Blood Calcium Levels Mean for You? Having a Low Blood Calcium level is a concerning and possibly confusing finding on a lab test. Calcium is an essential mineral that we all need, not just for bone health but for the functioning of every single cell in your body. It is one of the 'electrolytes' that allow electrical impulses to pass through the nerves and muscles of the body and cause them to be able to function normally. So, therefore, a low blood calcium level should be a concerning finding to you that actually means MUCH more than just the fact that you are calcium deficient. Calcium is SUCH an incredibly important nutrient that blood levels of calcium are TIGHTLY regulated in the body. Your body will do almost ANYTHING to maintain normal blood levels- including taking calcium right out of your bones and giving you osteoporosis before your calcium level will change out of the normal range. Which all 'generally' detect whether you are getting enough of that nutrient or not, calcium levels really have almost nothing to do with your calcium intake- until its VERY late stage. For example, you don't get an Elevated Calcium if you take too much calcium, you will only get an elevated calcium level when you have a very serious Calcium Overdose. On the same note, if you have a low blood calcium level, it likely means that your body has attempted to maintain your blood calcium level for a long time and has finally failed at doing its job. This is serious because it puts you at very high risk for osteoporosis or other weak bone conditions and it is EXTREMELY important to find the cause. This is different than 'thyroid' function which most people are aware of. Your PARATHYROID glands are tiny glands that sit right on your thyroid glands and are responsible for the control of your Blood Calcium Levels. Just like when you have an Elevated Calcium it very commonly a problem with OVERACTIVE parathyroid glands, when you have a LOW calcium level, it's sometimes due to UNDER active parathyroid glands. In any case, if you have either a high calcium level or a low calcium level, you should absolutely insist on seeing an endocrinologist and insist on getting further testing for your parathyroid glands. A VERY common, but underappreciated, cause of low calcium is intestinal malabsorption, which is nearly always a subtle Symptom of Gluten Intolerance or the more severe Celiac Disease. Even if you have a 'good reason' to have malabsorption, such as IBS or Crohn's Disease, what doctor's miss is that these diseases often are ALSO caused by an undiagnosed gluten sensitivity that is CAUSING the inflammation and autoimmunity. So really, there is no 'good reason' to have malabsorption because going on a strict Gluten Intolerance Diet can improve the malabsorption in many cases- regardless of what your doctor has told you. Ironically, people with low levels of stomach acid actually believe they have Too Much Stomach Acid and seek to suppress the acid with drugs. But the Side Effects of Omeprazole and other acid reducing drugs just make the problem worse! Unfortunately, most doctors will not look for Gluten Sensitivity in cases of low blood calcium levels and will often simply put people on high doses of calcium and not look for the underlying cause. 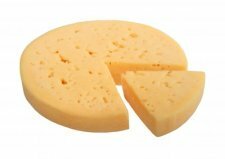 The research on this is VERY clear, however, that having ONLY low calcium levels – with or without digestive problems- IS a Symptom of Gluten Intolerance and you should be tested for the medical condition of Celiac Disease. But be sure to read the page on Diagnosing Gluten Allergy to see why that is almost always futile and you'll be told that you DON'T have Celiac Disease and you can keep eating gluten to your heart's content. Your doctor will not tell you about the possibility of having Non Celiac Gluten Intolerance, however, and if you have low blood calcium levels, it is an excellent idea to try a Gluten Intolerance Diet regardless of the results of your tests for Celiac Disease. If you have a low blood calcium level, it is almost surely a Symptom of Vitamin D Deficiency. Vitamin D deficiency is EPIDEMIC in western countries, with almost 85% of the population with low and sometimes SEVERELY low levels. You absolutely must INSIST on having your Vitamin D Level checked if you have a Low Calcium Level- INSIST!! It is NOT enough to simply 'know' that your levels are OK because you have been taking vitamin d for years, get 'plenty' of sun exposure or that your doctor puts you on 'some' vitamin D in a vitamin D supplement. Most doctors still remain unaware of your HIGH need for vitamin d and there are people that have been taking up to 4000 IU's a day for years who are STILL vitamin d deficient! With low calcium levels, you MUST get your vitamin d level done- and if your doctor refuses, you can get an In Home Vitamin D Test here. People are SHOCKED and confused when they get their vitamin d levels back because of how low their level is- even when they get sun exposure or are taking regular supplements. If you do not have a level, you have NO IDEA if you are getting enough- and it's likely that you aren't because you have low calcium levels!! Get tested and follow the instructions on the Vitamin D Therapy page. 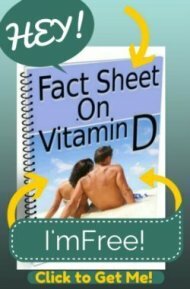 Make sure that your doctor's instructions match what is said by the experts in Vitamin D that I have outlined in these pages. It is almost certain that your doctor will use the wrong reference for Normal Vitamin D Levels and/or use the wrong dosage for Vitamin D Deficiency Treatment or give you Prescription Vitamin D when they should not. Don’t take it for granted that your doctor knows what he's doing with vitamin d, most do not. If you have a low calcium level, it is almost surely one of the Signs of Magnesium Deficiency. While I put magnesium last, it is NOT the last in important causes of low calcium levels, and magnesium is a 'Master' nutrient under which you can't be sufficient in either calcium OR vitamin D without. Magnesium is SO important that some studies have shown low blood calcium levels have been increased when ONLY magnesium is given- WITHOUT giving calcium (1),(2)! You see, you absolutely can't make vitamin d without magnesium and you can't absorb calcium without both magnesium and vitamin d.
Unfortunately, your doctor won't use a good test to tell if you are magnesium deficient. If you read my page on Magnesium Blood Levels, you will see that regular laboratory testing for magnesium is WORSE than worthless because if it's normal you and your doctor will, naturally, believe that your magnesium level is normal- but it's almost surely not normal and is likely one of the major causes of your Low Blood Calcium Level. How can I claim that your calcium level is from all 3 of these things? Because you most likely have all 3! Gluten Sensitivity leads to malabsorption of magnesium which leads to low calcium and vitamin d. While doctors like to have ONE clear cut reason for a medical problem, it's almost never that easy when it comes to chronic illnesses- and therefore ONLY giving calcium, or even calcium with vitamin d without checking Vitamin D levels is short sighted and damaging to you.